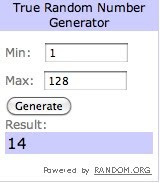 A second winner has been chosen as the first never contacted me and it's been almost 2 weeks since the contest ended. Congrats to the new winner - justmanette! Congrats on your win. Please email me ASAP (lookforless@gmail.com) with your color choice and where you would like the bag sent and I will forward the info onto Mimi Boutique so they can send you your bag. Note: Please email me by Tuesday, May 10th or a new winner will be chosen.